You don’t need to be an expert to put healthy food on the table. Sign up for meal planning tips that save you time, energy, and money. Our Personal Chef Service – available in the San Francisco area, makes it easy for you to put delicious, home-cooked food on the table 7 nights a week. We believe in the value of home-cooked food. We lovingly make everything from scratch. We believe in knowing where your food is coming from. We have 12 years of experience as Personal Chefs, from Montreal to New York City to San Francisco, with Chef Brigitte Theriault herself spending 8 years in San Francisco. Our Personal Chef service in San Francisco can serve families, couples or individuals who want a nutritious diet that is also satisfying. From Whole 30 to Paleo to Thai or Persian food, we are comfortable cooking a wide range of dishes that titillate the palate and nourish the soul. We’ve cooked for celebrities and athletes, and have a wide range of experience both in family friendly cuisine as well as specific nutritional meals. 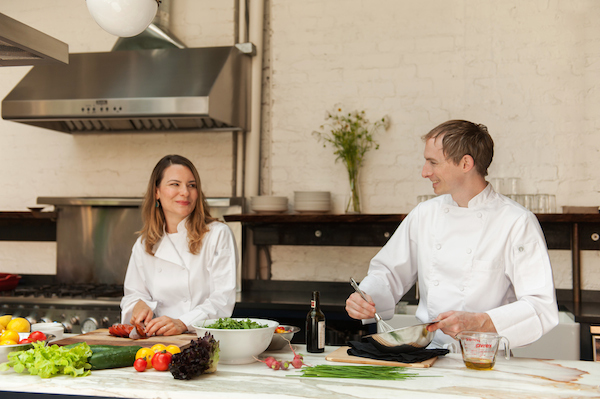 Contact Us to schedule a consultation for our San Francisco Personal Chef Service. Alternatively, see our Personal Chef Sonoma service. © 2019 White Apron, Brigitte Theriault. Terms & Conditions. Site by SixteenJuly.